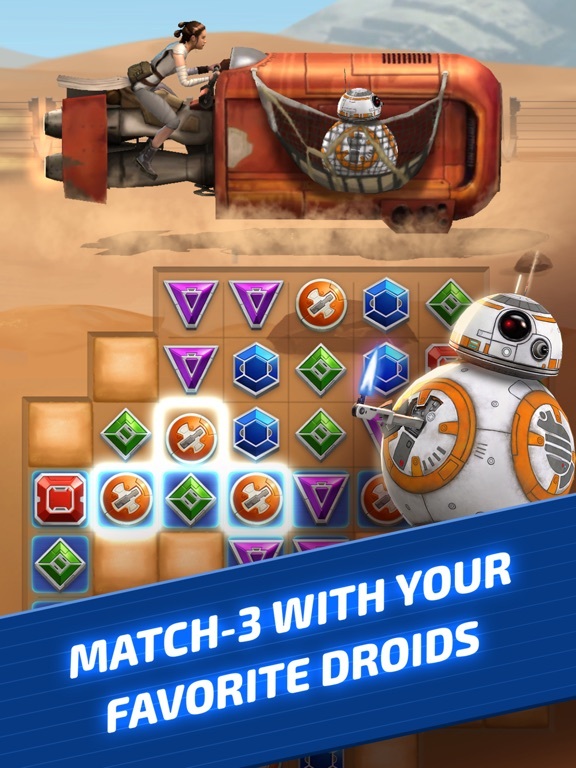 Explore the galaxy with your favorite droids to experience the Star Wars™ saga like never before in a brand new match-3 adventure. 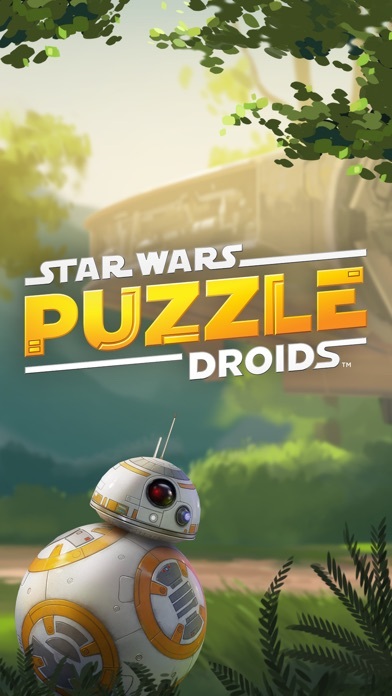 Tap into the memories of BB-8 and R2-D2 more for an epic retelling of the Star Wars saga from their unique perspective. 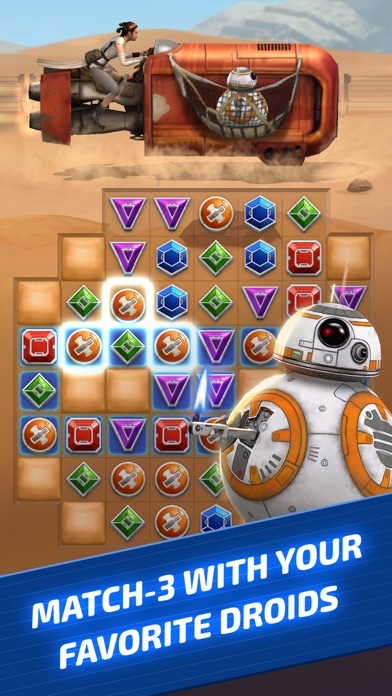 Experience the stories of Star Wars: The Force Awakens and Star Wars: A New Hope. 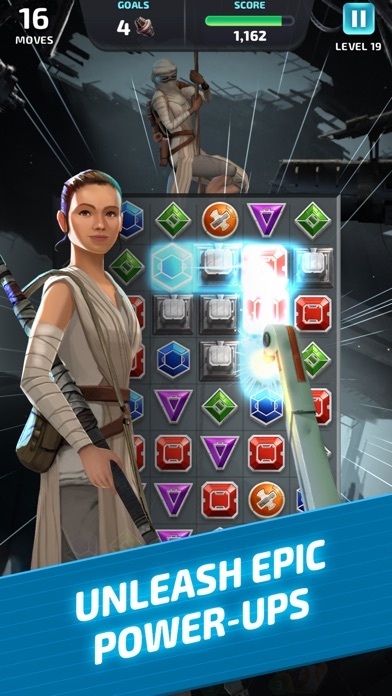 The journey will feature familiar scenes and previously untold moments alongside exciting gameplay and interactive puzzle boards. 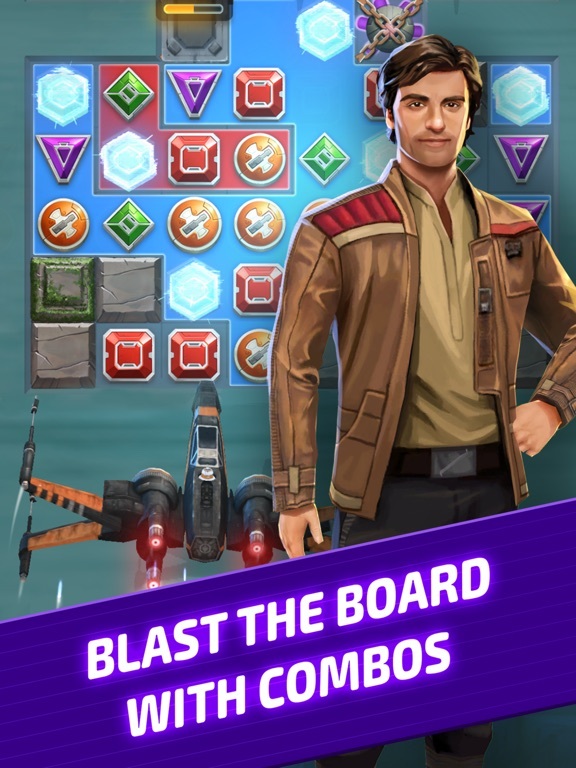 You’ll even meet characters such as Rey, Han Solo, Poe Dameron, and more. 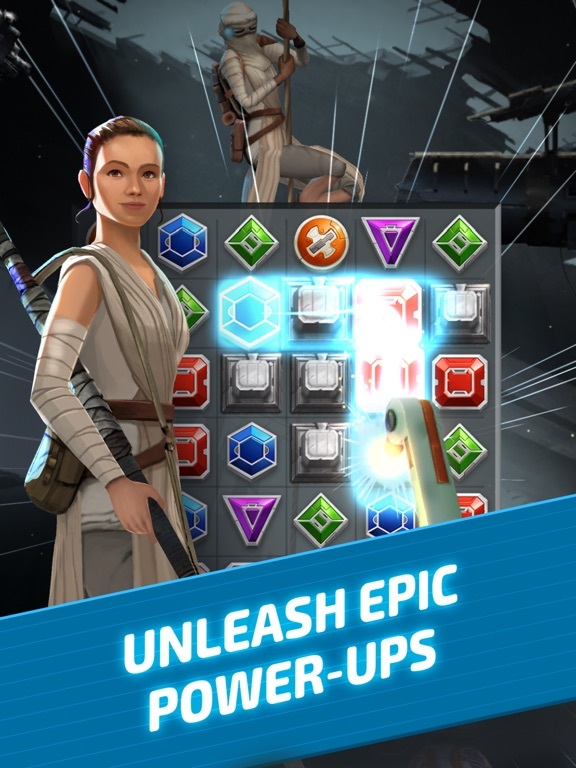 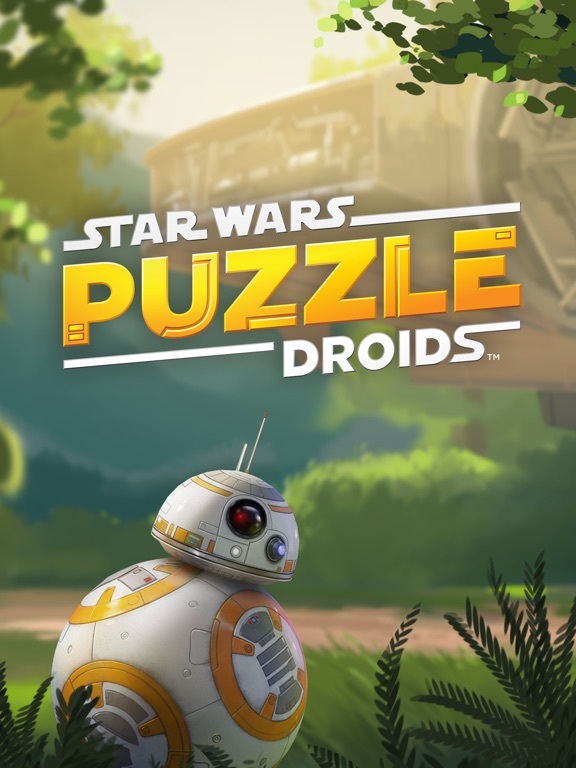 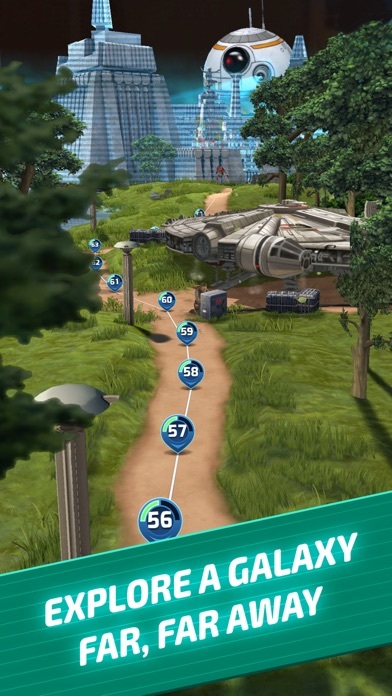 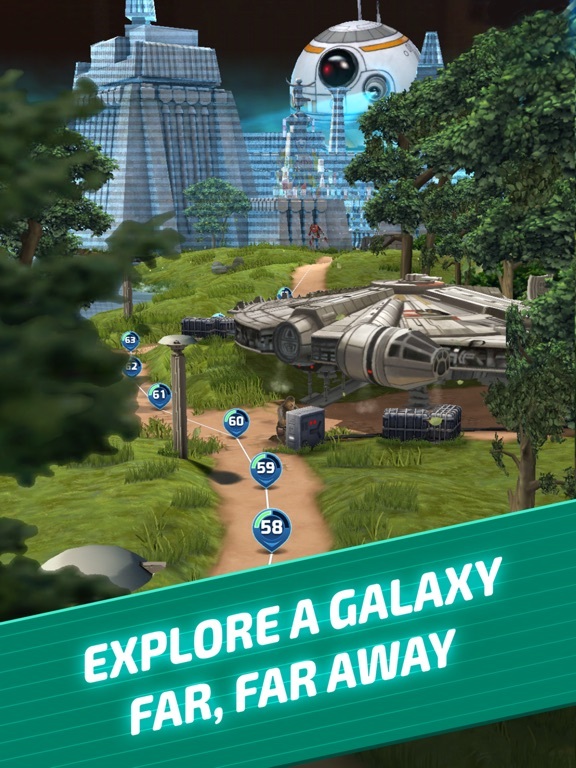 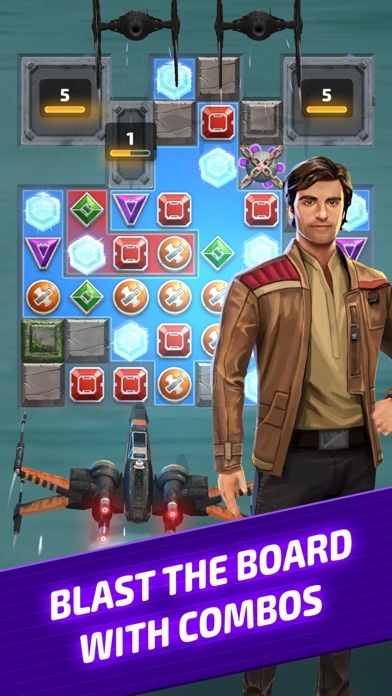 Are you ready to embark on the ultimate Star Wars puzzle adventure?